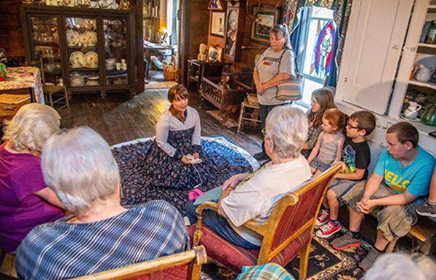 Wirt County Pioneer Day in Elizabeth, W.Va. Seven of the leading causes of death are higher in Appalachia compared with the nation as a whole. But amid that grim news, there's some diversity in these statistics. Elizabeth, West Virginia, is one of them. With a population a little over 800, the town in the western part of the state near Parkersburg has few fast food chains and no liquor store. It’s the center of government in Wirt County, the smallest county in the state. Road in Wirt County outside Elizabeth, W.Va.
Carol Menefee has lived here her entire life. “I spend a lot of time in the Chicago area, and I tell the people here when I come back and I’m driving across the bridge there, I came out Route 50, and I drive across the bridge. I just have that feeling of home. And it’s just, there’s no place like going home," she said. Many who grew up in Appalachia share similar deep feelings for home. But the region has long been plagued by bad news stories about economic challenges, as well as poor health outcomes and lower life expectancy. There are many different theories on why this is. The region has a higher rate of smoking, drug overdoses, obesity, and also challenges when it comes to accessing health care. But some communities have found ways to improve health without a lot of money or resources. 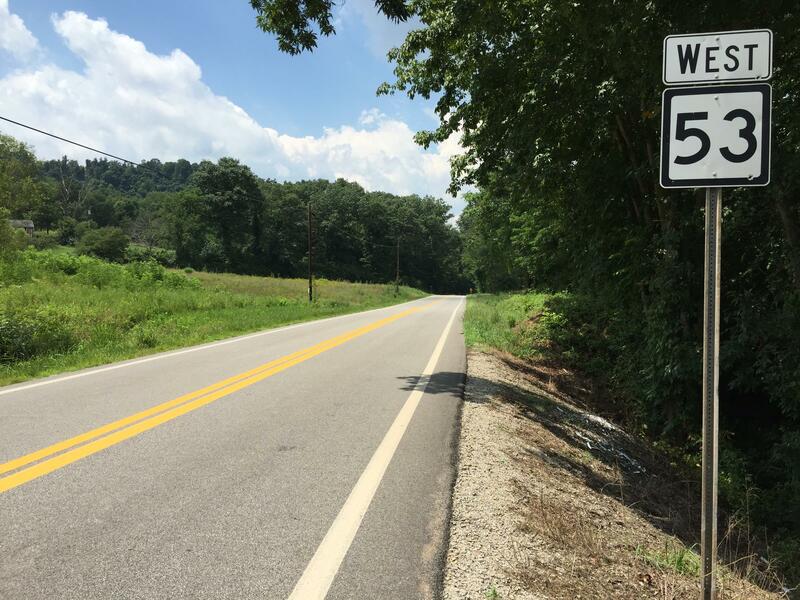 A recent health study by the Appalachian Regional Commission, the Robert Wood Johnson Foundation and the Foundation for Healthy Kentucky looked at 10 counties across Appalachia, including Wirt, to find out why they did better than expected in most health measures. And what they found is, even though a lot of these places are resource-scarce, they have other cultural strengths that may outweigh the lack of money and access to fancy hospitals. And because of those cultural strengths, they’re faring better than their neighbors. “Repeatedly we see that how people collaborate, how different organizations collaborate and work together and coordinate with each other, it rises up as one of the key ingredients in building a local culture of health, or even a statewide culture of health,” said Hilary Heishman, one of the researchers involved in the Bright Spots study. According to the study, research shows that the quality of where one lives, learns, works, and plays can have a greater impact on health than having quick access to a doctor. Not to say that doctors aren’t incredibly important when it comes to improving health, just that there is a lot more to keeping people healthy, things like walking trails, activities that encourage people to be more active, and a strong network of churches that help on various community projects. The researchers found all of these qualities in Wirt County. Within walking distance of the local diner is a senior center, the three local schools, and the community health center, all connected by sidewalks that were built through a grant a few years ago. Many of the sidewalks are used by kids who walk to school, said Kathy Mason, director of the Wirt County Family Resource Network. Volunteers and various groups, including the Family Resource Network, worked on this sidewalk project together. They also built a walking trail that wraps around the elementary and middle schools. After school lets out in the afternoon, the public is allowed to use the elementary school to do laps or walk inside the school gym, a resource Mason says has been popular among Elizabeth’s aging population. Both Mason and Menefee are involved in a number of community projects, including a Fourth of July picnic and fundraiser for the local volunteer-run fire department, Meals on Wheels and food giveaways during the holidays. Mason does most of this as part of her job, but like a handful of people in this community, Menefee does it as a volunteer. The projects that are run by volunteers here is impressive. But in a community where so much work is done by volunteers, will volunteers get overworked? And when they leave, or pass on, who will be there to do the work after them? Elise Sheppard, a volunteer at a thrift shop and food pantry called The Hope Shop. Another community project that’s entirely run by volunteers is the Hope Thrift Shop, one of the most popular spots in town with its 25-cent clothing rack. The store raises money to supply a food pantry, located in this same building. Five churches regularly donate food here. Volunteer Beverly Cheuvront manages the Hope Shop. The Hope Shop has been in this community about 20 years. But they do struggle to find enough volunteers to keep the place going. And, Cheuvront pointed out, more and more people here commute to Parkersburg or Ohio for work, limiting the time they’re available to help on community projects. 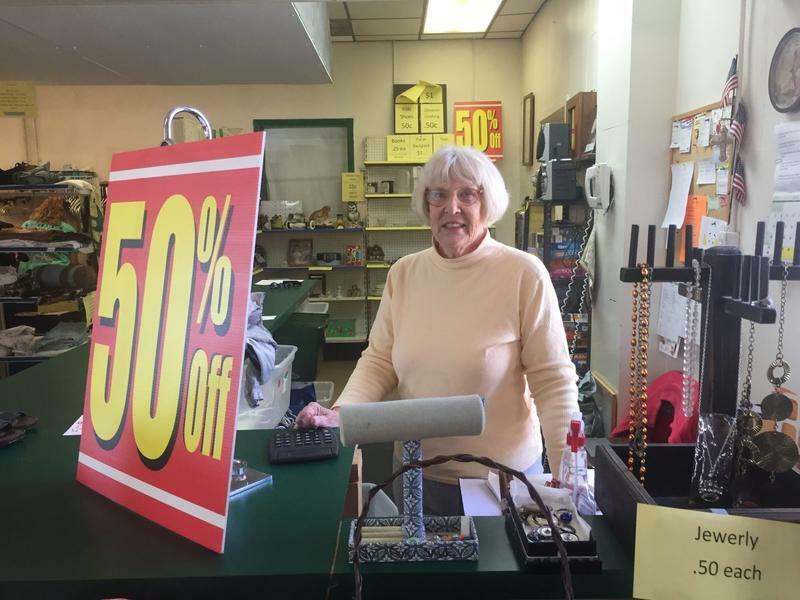 On top of managing this shop as a volunteer, Cheuvront operates a small store in a neighboring county about 40 minutes away. She loves living here in Wirt County, but she says it is a struggle to make a living without traveling elsewhere for work. Elizabeth isn’t located near any interstate exit, and it’s not the kind of place you pass through accidentally. It takes about 20 to 30 minutes to reach the nearest hospital in Parkersburg. Residents can get a lot of their health care in downtown Elizabeth at the Coplin Health Clinic, inside the same building as the pharmacy. 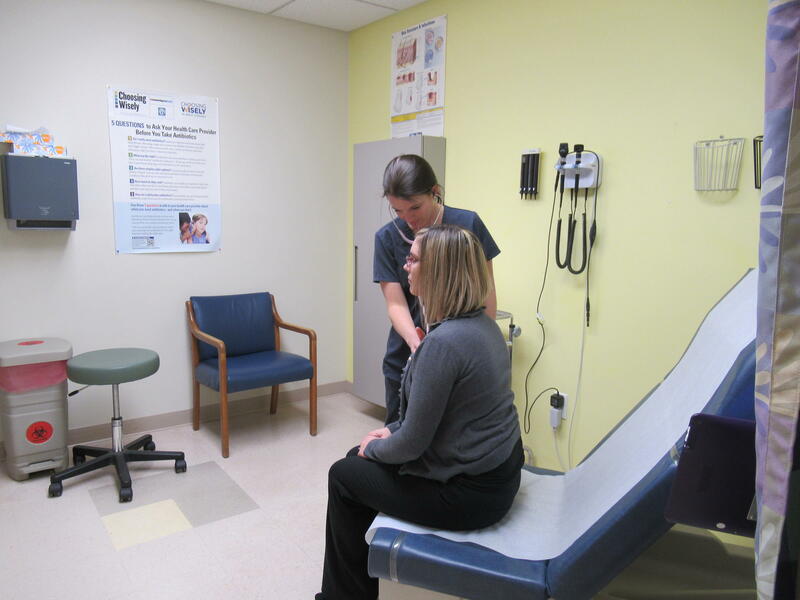 Nurse Practitioner Stacey Mills at Coplin Health Clinic in Elizabeth, W.Va.
“We’re gonna do everything we can to get them care at the time they need it,” said Holli Ludtman, the clinic’s office manager. The Coplin clinic charges patients based on what they can afford, and their services include primary care, X-rays, labwork, behavioral health and cancer screenings. For more specialized services, such as dialysis, surgery or the birth of a baby, residents must travel out of the county. But despite the challenges of living here, Beverly Cheuvront says Wirt County’s best strengths are not in its resources, but in its people. And according to the researchers, while Wirt County is special, it's not entirely unique. Many of the residents in the other Bright Spots communities share the same values in their towns: a willingness among organizations to share resources, instead of competing, a strong support system, and people who will help each other out in times of need.